WataugaWatch: Phil Berger Jr's Daddy Helped Get Him on the Court of Appeals. Will He Also Get Him on the NC Supreme Court? Phil Berger Jr's Daddy Helped Get Him on the Court of Appeals. Will He Also Get Him on the NC Supreme Court? 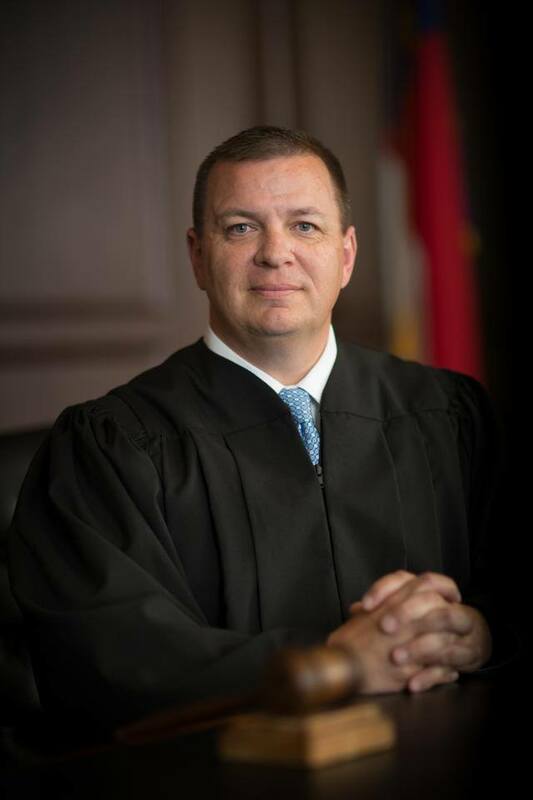 Phil Berger Jr. just posted on his Facebook page that he wants to run for Associate Justice Paul Newby's seat on the state's Supreme Court, if Paul Newby jumps into a race for Chief Justice of the Court. "I am interested in running" means "I am running." Phil Senior did everything in his power to make sure that Phil Junior won a seat on the NC Court of Appeals in 2016, defeating a good incumbent judge, Linda Stephens. But first, in 2014 Phil Senior tried to get his son a seat in the U.S. House of Representatives. Phil Junior ran for the seat vacated by Congressman Howard Coble (NC-6), backed by wads of money and the full-bore influence of Daddy Phil. What happened? Phil Junior lost the Republican Primary that year, which shocked everyone, not least of whom was his father. Following quickly that humiliating defeat, Phil Junior got himself appointed to an administrative law judgeship, and didn't stick there long before he entered the race for the NC Court of Appeals with the full endorsement of the Tea Party Express (if you were inclined to doubt his partisan proclivities). Daddy Phil wasn't done putting his thumb on the scales. At the last minute in the short session of the General Assembly in the summer of 2016, and as President of the Senate, Phil Berger Sr. saw to it that the law got changed as regards random "ballot order," insuring that candidates that belong to the same party as the sitting governor (Pat McCrory at that time) got listed first. So Phil Berger Jr. was listed first on the ballot. Why does it matter? Numerous studies have shown that being listed first on a ballot can give that candidate at least a slight advantage, especially on down-ballot races like the Court of Appeals race where candidates aren’t as well-known as presidential or gubernatorial candidates. Indeed, Phil Berger Jr. won that 2016 race by a very slim margin ... a quarter of a percentage point. What will Phil Berger Sr. do this time? First thing: Change that law he passed in 2016 so that candidates not of the governor's party get listed first. Labels: Phil Berger, Phil Berger Jr.